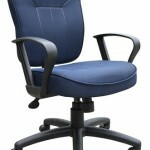 Upholstered with commercial grade crepe fabric in Blue, Black, Grey, and Burgundy (as shown). 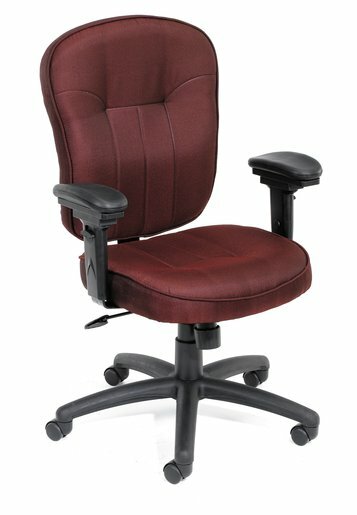 Mid-back task chair styling with firm lumbar support and extra large cushioned seat and back for all day comfort. Soft and durable molded polyurethane armrests. The 6-directional adjustable allows the armrests to be raised or lowered, extended out or pulled-back, and pivoted left or right, ensuring the user with optimal arm support. Solid nylon bases with double wheel casters for easy movement.